In the wake of disturbing revelations made about Miramax producer Harvey Weinstein and his decades-long history of sexually assaulting women, a movement has taken the twitter world by storm. 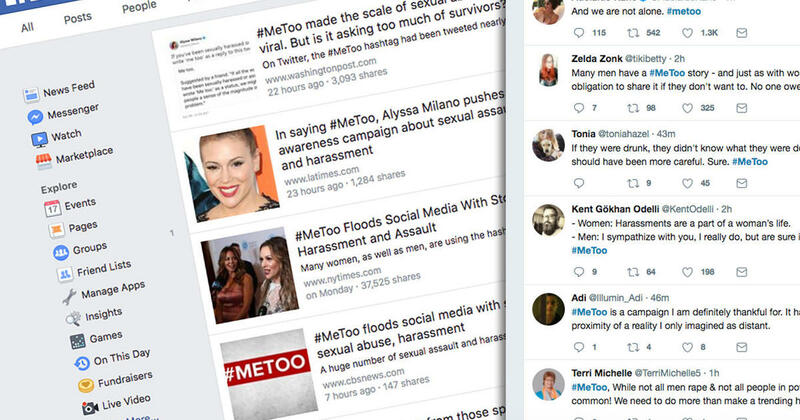 Women are tweeting #MeToo to signify that they have experienced sexual harassment or assault. According to a report by CNN, approximately 2 million Twitter users have tweeted the hashtag. With the success of the Twitter hashtag in revealing the magnitude of sexual assault in American culture, many are left wondering: can a Twitter hashtag move from an online trend to a legitimate source of social change? This is not actually the first time that the “Me Too” hashtag went viral. According to a report by CBS News, a black female activist, Tarana Burke, tweeted the hashtag in 2007 to bring together women of color who survived sexual assault. Today, the hashtag has spread across international borders with France, Italy, and India as just some of the nations who have joined in the movement. #MeToo has also spread from its Hollywood roots to other fields and industries. While these reveal a long-awaited acknowledgement of the pervasive culture of sexual assault in the U.S., for some, it still remains a long way from a solution to the underlying problems. According to Toni Van Pelt, President of the National Association of Women, that will be the result of effective collaboration between anti-violence organizations, the media, Hollywood, and especially, men.